With a roster of events lined up on the calendar, it’s imperative that you look and feel your best during the month of December. And if we’ve learned anything from Bridget Jones, we should know better than to leave everything to the last minute. No one wants to be a total mess come Christmas time. As a seasoned partygoer and total beauty addict, it’s safe to say you can trust me when it comes to party prep. To ensure you’re on top of your game this party season, follow my step-by-step guide approximately seven days before your next soirée. You’ll be glowing inside and out. 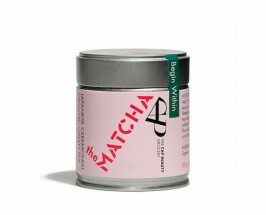 Start by adding a cup of green tea or matcha into your daily routine. Like water, these super antioxidants help eliminate toxins and remove water weight so you can really squeeze into that itty-bitty dress you’ve always wanted to wear. CAP Beauty has a lovely matcha. It’s one of my all-time favorites. Overdo your water consumption. The human body is 70% water, so as a general rule of thumb you need to drink at least ½ your body weight in ounces. This will naturally cleanse your system from the inside out, removing toxins and making you look fresh and rested. 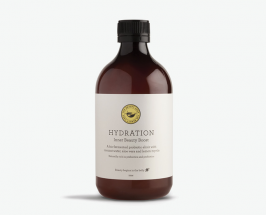 The Beauty Chef makes a delicious and super concentrated hydrating beauty concoction. Literally just quit. Salt isn’t going to do you any favors when you’re trying to slim down or just feel generally lighter. Cut out anything processed and stick to real foods that don’t contain added sodium. We all know the endless benefits of drinking your greens, but this week, try starting your day with a fresh green juice. It will get your metabolism going, fill you up and promote healthy eating throughout the rest of the day. Start taking as many of these as possible. Use this time to organize your life: respond to old emails, catch up on some reading, or make to-do lists. It’s the perfect way to relax while being somewhat productive at the same time. 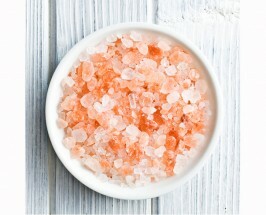 Espom salt is super cheap and can be found at your local drug store, but if you really want to take it up a notch, checkout Therapie Roques O’Neil Himalayan Detox Salts. Apply an at-home face mask that will rid your skin of all impurities and dead skin cells. Tracie Martyn Enzyme Exfoliant is like a facial in a jar. It prevents acne, re-texturizes the skin and leaves your complexion totally glowing. It’s important to keep this step 3 days out, because you wouldn’t want to risk your hair being greasy from the oils the night of the event. 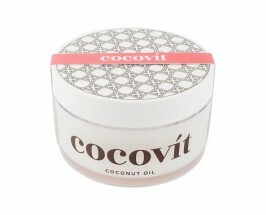 Cocovit Coconut Oil is incredibly simple, yet effective. Generously apply the oil onto your locks, focusing on the ends and leave on for 15 minutes. Make time to head to your neighborhood salon. Even if your feet are covered, it’s nice to feel fresh from head to toe. A classic bright red on your toes and sparkly gold or metallic silver on your fingers is so fun and festive. If you are into lash extensions, make sure to book an appointment to get a fresh set. No time? 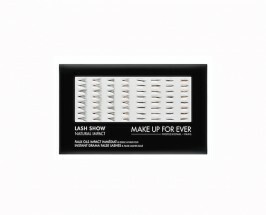 Buy individuals like Make Up For Ever Individual Eyelashes. Adding a few individual lashes to the corner of the eye will elongate, accentuate and thicken the look of the eye and lash. To make sure your skin is soft and smooth, exfoliate your whole body one day before the big night. 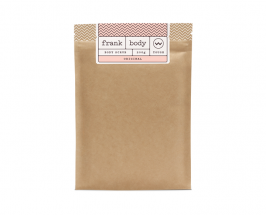 Try Frank Body Coffee Scrub. The coffee busts cellulite and banishes dead skin. Follow-up with your favorite body oil — I like Shiva Rose’s Venus Body Oil — for a serious burst of hydration. Use something gentle, because the key is to create radiance, not redness. 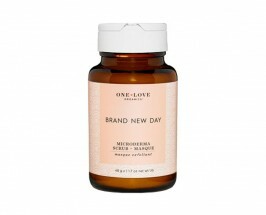 One Love Organics Brand New Day is a mini mask and a scrub in one, but it’s gentle enough to use every day. Susanne Kaufmann’s Enzympeeling Enzyme Peel is the ultimate pre-party facemask. It’s not going to make you red or irritated and will guarantee that your skin looks perfect in pictures. If you can swing it, pop on an eye treatment right after you get out of the shower. It’s the perfect way to ensure sparkling eyes all night long. 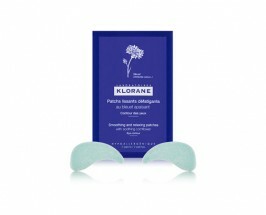 Try Klorane Smoothing and Relaxing Eye Patches or Tatcha’s Deep Revitalizing Eye Masks. Share the post "A Week of Beauty: A 7 Day Guide To Party Perfect Skin"